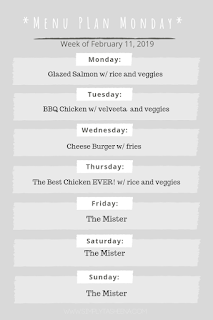 I've also been thinking a lot lately about creating a menu plan with me videos for my YouTube channel, and actually including my thought process of how I menu plan for my family. Of course, you'll be the first to check out the video if you're subscribed to my YouTube channel. This past weekend was the norm for us. Nothing special, we're expecting snow this week. Besides that, I'm looking forward to warmer weather. I love how you have your meals planned out. I need to be more proactive in doing this. Your menu selections are top notch! I so would have come over for dinner on Monday - glazed salmon?! That sound so darn delicious. 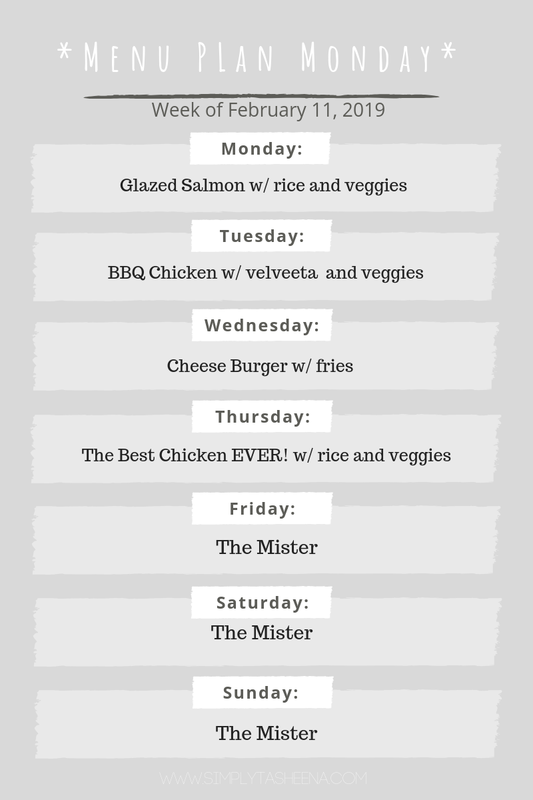 We started meal planning just this week and it turned out awesome. I will look more on this!